MAGIP is pleased to announce Courtney McKee the co-owner, co-founder and CEO of Headframe Spirits and Headframe Spirits Manufacturing in Butte, MT as the 2019 Keynote Speaker! 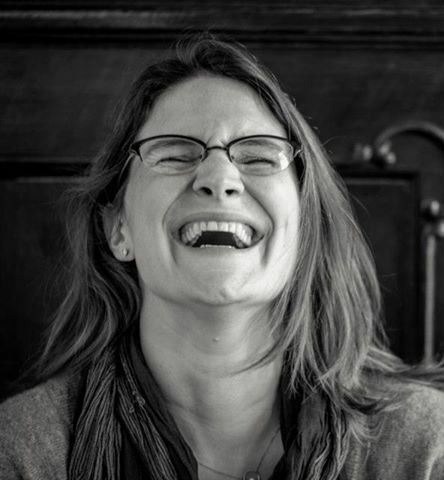 Courtney McKee was raised in Connecticut and moved to Montana to attend the University of Montana, where she received a BA in English Literature. Passionate about Montana, Courtney came to Butte in 2001 where she owned and operated an Information Technology consulting business for a number of years before getting into the distilled spirits business. Headframe Spirits and its sister company Headframe Spirits Manufacturing currently employ 30 individuals. The companies are equal parts history and technology. Headframe Spirits produces beverage alcohol and operates a Tasting Room while its Manufacturing counterpart designs and builds distillation equipment for the distilled spirits industry. In her role as CEO, Courtney believes that her highest priority is taking care of her employees and empowering them to take care of the business, including our customers and our community. She serves on the board of the American Craft Spirits Association and co-chairs their Education Committee. Courtney is married to John McKee, her business/shenanigans partner. They both believe that Butte is an incredible community and they are proud to be helping to write Butte’s next chapter. Together they have two pretty awesome children, Tuesday and Cooper and a sweet distillery puppy, a Golden Retriever named Kita. When not working, Courtney can often be found cooking, reading a book, or spending time with friends floating a river or otherwise enjoying Montana’s outdoor recreation opportunities. Families and kids are encourage to attend! Take this time to visit the map gallery and interactive exhibitor booths and enjoy fun, games and prizes! Appetizers will be provided and a no-host bar will be available. No-host cocktail reception begins at 5:30 pm followed by a hosted dinner, Poster and Web Map award winner announcements and 50/50 and raffle winners. No-host cocktail reception begins at 5:30 pm followed by a hosted dinner, Poster and Web Map award winner announcements and 50/50 and raffle winners. To receive the conference rate reserve by phone. Please reference MAGIP Big Sky GeoCon to get the conference rate. MAGIP is pleased to offer a limited number of scholarships to students currently enrolled in a higher learning institution. Students will be awarded free registration in exchange for working a set number of hours. Planning for the Big Sky GeoCon is overseen by the MAGIP Professional Development Committee. For more information email the Professional Development Committee Chair.